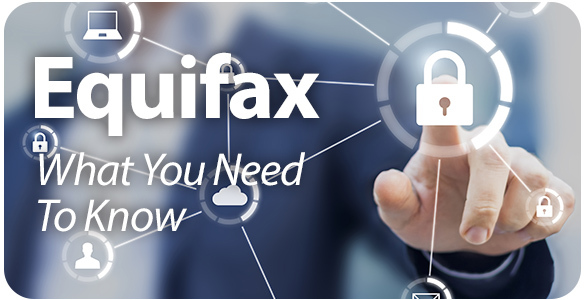 Sabattus Regional Credit Union wants to help our members navigate the Equifax breach. Though this breach was not related in any way to Sabattus Regional Credit Union, our commitment is to helping our members. We’ve compiled a summary for our members, as well as links and resources to help our members learn more, and take action to protect their identity and information. Like many Americans, you may be concerned that your private information was exposed in the recent Equifax breach. We understand and want to help our members by providing information and resources. We encourage all of our members to visit the Equifax site to discover their private information may have been compromised and to take advantage of the free credit monitoring service Equifax is providing to all consumers. Visit equifaxsecurity2017.com and click on the Check Potential Impact Tab. Enter your last name and the last six digits of your Social Security Number. Equifax is providing one year of free monitoring protecting through TrustedID for all consumers, even those not affected by the breach. After checking your potential impact, you will be given an enrollment date to return and sign up for the free service. TrustedID allows you to monitor your credit. It also provides identity-theft insurance and internet scanning of your social security number. Equifax has also set up a dedicated call center at 866.447.7559 where you can speak with someone regarding any questions you may have about the breach. We understand that importance of your personal information and want to make sure you know Sabattus Regional Credit Union is committed to keeping that information safe and secure. If you have any additional questions for us, please call 207.375.6538.